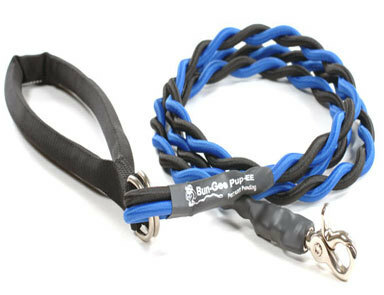 The Bungee leash is a shock absorber and creates a cushion from any sudden moves made by you or your dog. When the dog pulls suddenly the Bungee leash stretches and pulls the dog back to you. The Bungee leash has been found to be helpful for individuals suffering from back or shoulder issues. 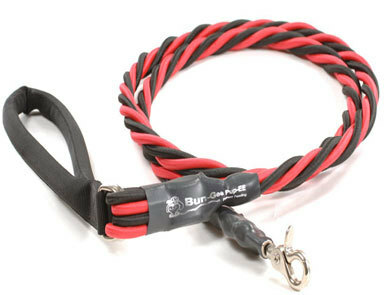 Bungee dog leashes are available in four weight categories and two lengths. 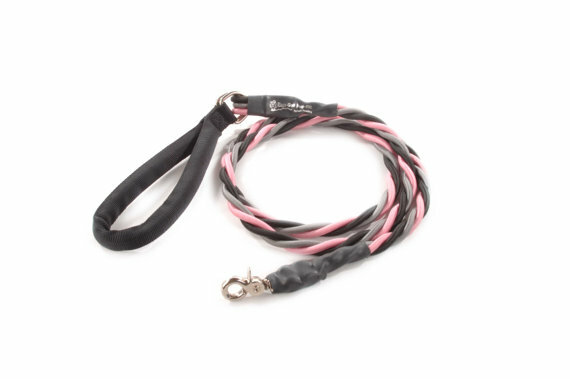 25 pounds for small dogs, up to 45 pounds for your mid-size dog, 65 pounds for larger dogs and your very large strong dogs will love the dog lead up to 165 pounds.